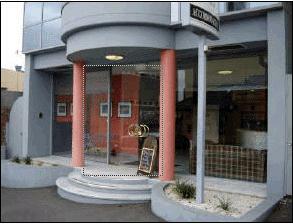 Harringtons 102 is an ultra modern tourist accommodation facility located in Hobart's central business district with easy access to the city and all major tourist attractions, and is also suited to the business person requiring accommodation close to the Hobart CBD. Featuring modern comfortable standard rooms and suites, all rooms being equipped with Persian Marble en-suites. This property is an ideal and inexpensive accommodation from which you can base your stay to visit the delights of southern Tasmania. All types of travellers can take advantage of the discount accommodation at the Harringtons 102 , as well as the range of modern amenities including and. Separate laundry and ironing facilities are also available. Harrington's 102, which is a smoke free hotel, does not provide parking access, but has safe onstreet parking. Continental breakfast is included FREE of charge. Harringtons 102 is the ideal and inexpensive hotel from which you can base your stay to visit the delights of southern Tasmania. . Nearby Attractions : Harrington's 102 is only a 5 minute walk from the Hobart CBD, giving you easy access to all tourist attractions, Shops, museums, many fine restaurants, cinemas and interesting tourist attractions await you in Hobart. A 20 minute walk from Harrington's 102 will find you at Salamanca and the world renowned Hobart water front precinct or in lovely Battery Point, the Cadbury Chocolate factory or Cascade Brewery can also be on your itinerary, and don't forget the boutique casino at Wrest Point. Other areas of interest you can visit include Port Arthur, the Derwent Valley, the Huon Valley, Historic Richmond, and yes don't forget to visit the top of Mount Wellington for spectacular views of the Derwent River. Balcony Hotel Room : Sleeps up to 3 guests on 1 Queen & 1 Single Bed. Compact Hotel Room : Sleeps up to 2 guests on 1 Queen Bed, or 1 Double Bed. Harrington Hotel Suite : Sleeps up to 4 guests on 1 Queen & 2 Single Beds. Queen Hotel Room : Sleeps up to 2 guests on 1 Queen Bed .